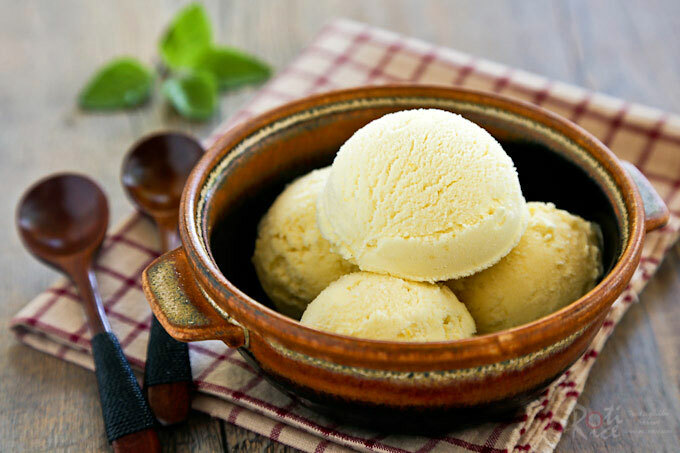 This fragrant Sweet Corn Basil Ice Cream is a delicious treat any time of the year. It is fully infused with fresh corn and a slightly spicy basil flavor. 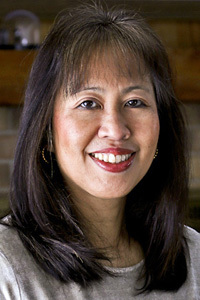 While fresh sweet corn is considered more like a vegetable here in the United States, it is often associated with desserts in many parts of Southeast Asia. The plump kernels are mixed into sweet soups, jellies, puddings, ice cream, and pancakes. Incidentally, two of my favorite childhood desserts were Sweet Corn Pudding and Ban Jian Kuih (Chinese Peanut Pancake). Both have cream style sweet corn in them. Another favorite was sweet corn ice cream or popsicles from the “ice cream man” who came round to the house. 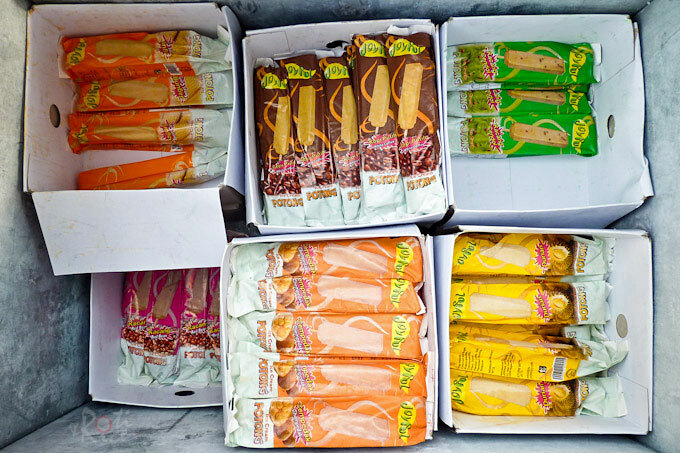 These were real treats on those sweltering afternoons in the tropics. Most families did not own a refrigerator back then and ice cream making was a secret known only to the manufacturers. 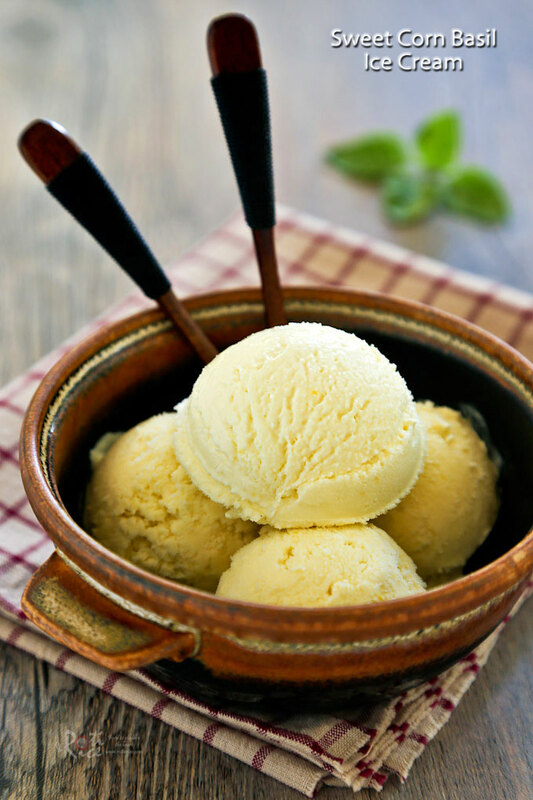 Today, the mystique of ice cream making can be easily replicated at home with the aid of an ice cream maker. This wonderful device enables us to try out all kinds of wonderful flavor combinations like this aromatic Sweet Corn Basil Ice Cream. Since sweet corn ice cream was not made at home until now, I had to search the internet for a recipe. I found this one which infuses the cream with the cobs. I omitted the eggs because I prefer egg free ice cream. I had harvested the last of my Greek basil for the season and so I added a few sprigs for a “new” taste. 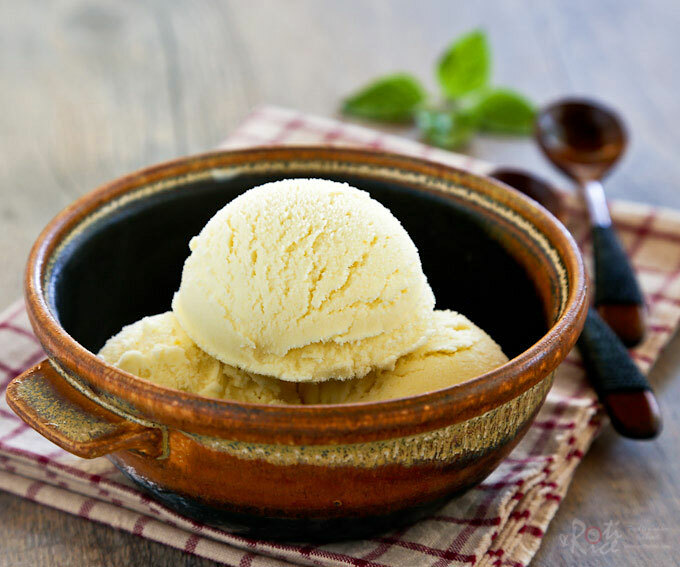 Greek basil has a slightly spicy flavor similar to that of Thai basil which lends a noticeably fresh scent to the ice cream. Slice kernels off the corn cobs and place in a large saucepan. Break the cobs into thirds and combine them together with kernels and sugar in the saucepan. Pour in milk and cream. Bring mixture to a boil and stir until sugar dissolves, about 2 to 3 minutes. Turn off heat and remove from the stove. Add in sprigs of basil and allow basil and cobs to steep for 1 hour. Remove basil and cobs with thongs. Using an immersion blender, puree the corn kernels. Pass mixture through a sieve pressing down hard on the solids. Discard solids. Cover and refrigerate for at least 2 hours. Although it is early fall, there are still many more warm days to enjoy this creamy and delicious Sweet Corn Basil Ice Cream. This recipe is a great way to use up the last of summer’s fresh sweet corn and homegrown basil.